Here's a guide to the classic Christmas movies and TV shows that are airing this week. They include the classic Tracy and Hepburn rom-com Desk Set (1957). The holiday season always brings an abundance of seasonal favorites for classic movie and TV fans. The fun doesn't really start until December when TCM begins airing Christmas classics every Friday and other networks role out holiday favorites like It's a Wonderful Life (1946) and How the Grinch Stole Christmas. However, there are a few offerings during Thanksgiving week (Nov. 23-29), so without further ado, here's the list for your viewing and DVR'ing pleasure. 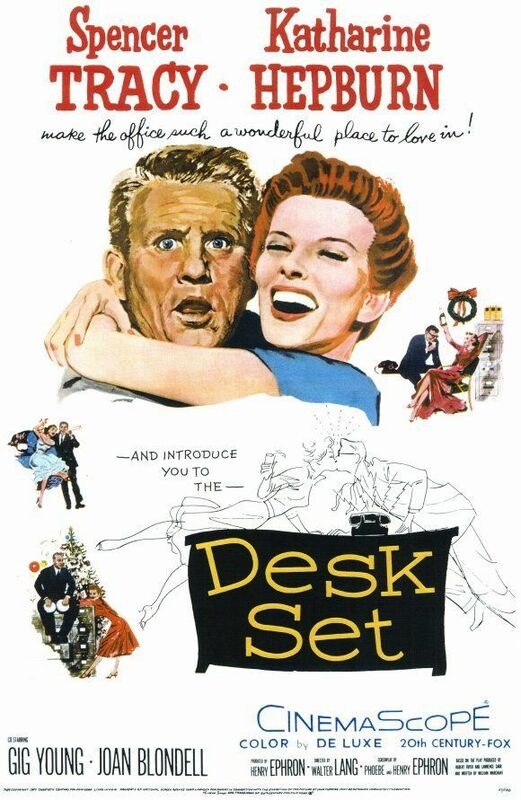 Desk Set airing at 8 p.m. Thursday (Nov. 26) on TCM: This romantic comedy about a fictional television network is one of Spencer Tracy and Katharine Hepburn's most delightful movies. Desk Set features Hepburn as a reference librarian who is afraid that a new-fangled computer installed by Tracy will take away her job. Desk Set takes place during the holiday season and features an uproarious office Christmas party with a tipsy Hepburn in great form. Don't worry if you miss the Thanksgiving night broadcast: Desk Set will air again in December, and it's available for streaming on Netflix and Amazon Prime. Frosty the Snowman airing at 8 p.m. Nov 28 (Saturday) on CBS: CBS begins airing its roster of animated Christmas classics with Frosty the Snowman, featuring narration from beloved comedian Jimmy Durante. Frosty will be followed by the sequel Frosty Returns at 8:30 p.m. and The Story of Santa Claus at 9 p.m. The Judy Garland Show at 8 p.m. Nov 23 (Monday) on getTV: getTV is doing a great job of reviving some of the vintage variety shows. This week they are bringing special holiday episodes from some of the best shows. Garland's Christmas special features her talented children Liza Minnelli and Lorna and Joey Luft, and Mel Torme performing his signature tune, "A Christmas Song." This show will be repeated at 1 p.m. Nov. 27 (Friday) and 9 a.m. Nov. 29 (Sunday). The Best of Andy Williams Christmas Shows airing at 9 p.m. Nov. 23 (Monday) on getTV: This compilation includes the best moments from Williams' shows from 1962 through 1973. This show will be repeated at 2 p.m. Nov. 27 (Friday) and 10 a.m. Nov. 29 (Sunday). The Merv Griffin Show Christmas Special airing at 10 p.m. Nov. 23 (Monday) on getTV: This 1965 show features singer Barbara McNair, TV mom Florence Henderson, and Jimmy Boyd singing "I Saw Mommy Kissing Santa Claus." This show will be repeated at 3 p.m. Nov. 27 (Friday) and 11 a.m. Nov. 29 (Sunday). 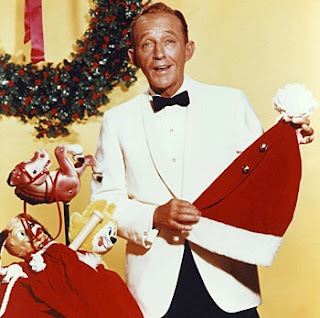 Bing Crosby and the Sounds of Christmas airing at 8 p.m. Nov. 25 (Wednesday) on getTV: This 1971 special features appearances from the Mitchell Boys Choir, Robert Goulet, and the Crosby family. This show will be repeated at 4 p.m. Nov. 27 (Friday). The Perry Como Christmas Show airing at 9 p.m. Nov. 25 (Wednesday) on getTV: This 1974 show features special guests The Carpenters, figure skater Peggy Fleming, and comedian Rich Little. This show will be repeated at 5 p.m. Nov. 27 (Friday). The Danny Kaye Show airing at 10 p.m. Nov. 25 (Wednesday) on getTV: This 1966 Christmas show features special appearances by Peggy Lee and Wayne Newton, plus appearances by Kaye show regulars Joyce Van Patten and Harvey Korman. This show will be repeated at 6 p.m. Nov. 27 (Friday). Here's Jimmy Durante to take us out with the title song from Frosty the Snowman. See you next week!